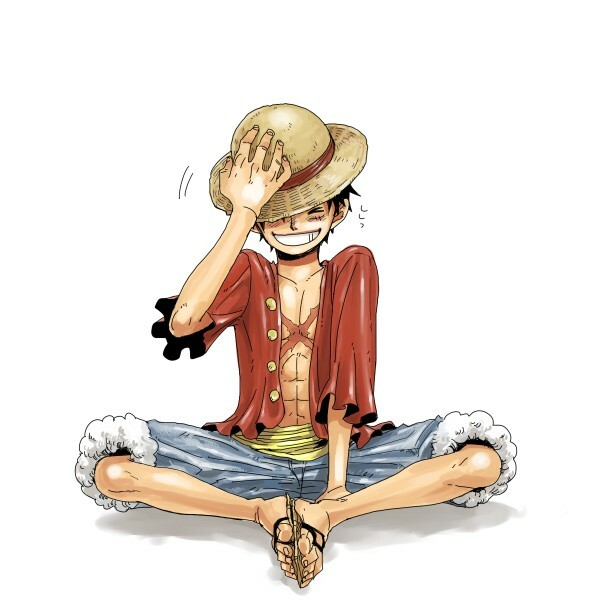 Monkey D Luffy. . Wallpaper and background images in the Monkey D. Luffy club tagged: photo luffy one piece. This Monkey D. Luffy fan art might contain fedora, waliona kofia, homburg, stetson, trilby, kofia feli, boater, leghorn, panama, panama kofia, baharia, skimmer, kofia majani, kofia ya panama, kiparara, and kofia ya majani.